Welcome to the Styles Collection. If you're die-hard car enthusiasts like us and find yourself visiting Southeast Florida, give us a call to request a private tour. We enjoy every opportunity to get together with like-minded car people and share the special stories that each of these cars have to offer. 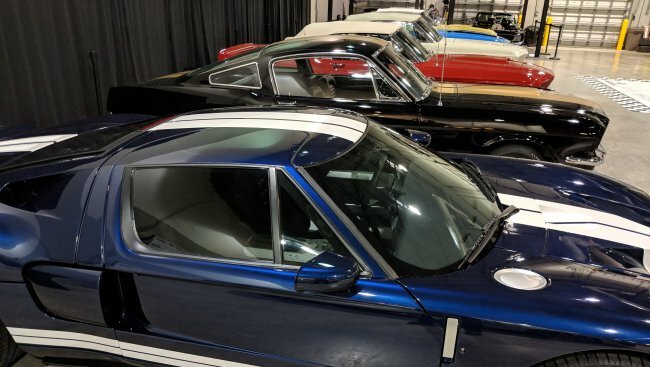 The Styles Collection is home to many purpose-built cars and rare convertibles from Ford, Shelby, Mercury, Chevrolet, Oldsmobile, Pontiac, Dodge and Plymouth, built from 1967 to 1973. 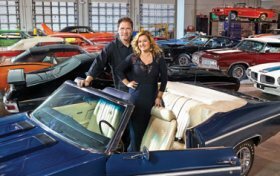 Our philosophy is simple: building a world-class collection of Americana, whether it consist of scale models or full-size automobiles, isn't about quantity or locking them away in a large dark garage. It's about a driving desire to relentlessly chase after the rarest of the rare combined with a lifetime commitment to preserve and share each automobile's history every chance we get. 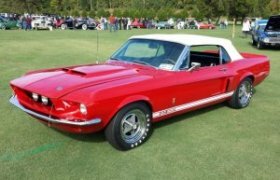 The cornerstone of our rare ragtops collection is the one-and-only 1967 Shelby GT500 Convertible. It just happens to be one of the world's rarest production cars, and it has been on a nationwide tour since November 2011. Classic cars have become the fastest growing collectible in recent years. Kipplinger's published an article about this in their August 2014 magazine titled a Passion for Collecting. Of course Samantha is a bit upset because they mistaken referred to her car collection as Brian's... Regardless, here's a video on collecting and how we make every attempt to keep the passion alive for future generations of car enthusiasts. Together, let's keep the hobby fun! Copyright © 2010-2014 Samantha Styles. All rights reserved.